Everyone is welcome to join us at The Little Bookroom in Carlton North this Saturday 27 August at 3pm for the launch of Ten Little Owls. It’s a FREE event, aimed at little ones and early primary kids. We’ll be singing, howling, hooting, reading, and of course, making owl crafts and eating owl cookies. Please RSVP at The Little Bookroom so we will be sure to have enough cookies and craft for everyone. Aside note: I see that it’s been almost a year since I have posted anything on my website News. I’ve become quite a fan of Instagram these days and I’m still active on Facebook, so if you are missing updates and projects and events, please look for me there! Watching footy finals? Enjoying the spring sunshine? 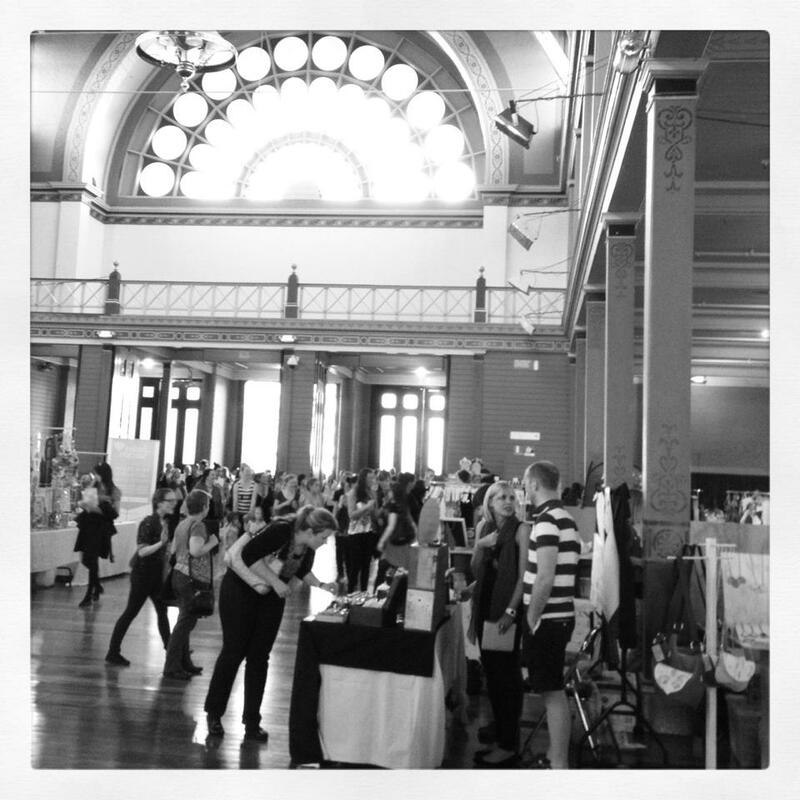 OR… perhaps visiting The Finders Keepers Market, held in the stunning Royal Exhibition Building in Carlton (Melbourne)? The market will be open Fri evening through Sunday arvo and features an amazing line-up of creators, musicians and food. and for the first time ever, my little ceramic owls. I will have many other products from my range, including prints, frames, ornaments, ceramics and jewellery. Well, maybe it’s thirty days plus or minus a few (I didn’t really count). Either way, I am excited to tell you that I will be participating in the Bowerbird Bazaar Market in Adelaide, South Australia, this May. This will be my first Bowerbird Market and I’ll be sharing a big spot this year with my market-partner-in-crime Kim Wallace Ceramics. Yep, that’s Kim’s gorgeous work in the lower right corner and my wombat on the lower left. We’ve been busy creating new products which I will be sure to sneak preview before the market. It’s sure to be an amazing weekend and I know my husband is secretly hoping I will be too busy to go shopping, but we’ll see about that. Please stop by and say hi if you are in Adelaide on the 1-3 May. I can’t believe that market season is upon me already! Such a fun and crazy time of year. This spring I will be in Melbourne and Brisbane with illustrations, stationery, jewellery, tattoos, collaborative ceramics and picture books. I am always surprised when someone asks to use my artwork as tattoos — as in real permanent artwork on their body. I am so honored that someone would want to wear my artwork forever. While I love the idea, I guess you could say I have commitment issues. So for those of us that aren’t so brave, I have created a line of temporary tattoos featuring bilby, owl-moth and sooty owl. I use an offset printer based in Melbourne, which means the tattoos are high quality and can last up to 5 days if treated properly (no lotion, sunscreens, oils and no rubbing). And of course they meet all Australian and New Zealand safety requirements. If you need a little personal decorating or sprucing up, a temporary tattoo might be just what you need. And let’s be positive here, we don’t have commitment issues, we just like the freedom to change our minds whenever we want. A special thanks to everyone who came out to the launches of The Great Garden Mystery in Melbourne at The Little Bookroom and in Brisbane at The Avid Reader. Lots of little (and big) kids at The Little Bookroom. …and ate a few beetroot cookies and other surprises (sorry — I don’t want to spoil the story for anyone who hasn’t read it yet!). I will also be presenting a 45-minute program for 5-8 year olds during school holidays on Wednesday 1 October at 2:30. We will talk about The Great Garden Mystery and explore scratch art in detail at the Reservoir Library. The event is free but bookings are required. Let me know if you can make it! You are invited to a book launch! Fun and games for all at the launch of The Great Garden Mystery at the Avid Reader Bookshop in West End, Brisbane. I hope you can join us to celebrate the newest book! More info about this book launch available at the Avid Reader. Unpacking after a wonderful day at Markit Fed Square! So lovely to see so many new and familiar faces. Thanks to everyone who stopped by to say hello. I sampled several new products at the market and even managed to get some listed on my Etsy site today. Maple and oak veneer art prints mounted on art panels. Temporary tattoos featuring sooty owl and owl moth. Still to come… wombat prints on maple veneer and earrings. I hope to get these online soon. I have been working with a local Melbourne printer to make environmentally friendly prints on wood veneers. This little beauty and another wombat (with butterflies) will be available at Markit (25 May) and online soon. Getting new products together in time for Markit Fed Square (www.markitfedsquare.com.au) on Sunday 25 May in Melbourne. These ceramics are the newest collaboration with ceramicist Kim Wallace (www.kwceramics.com.au) and feature kookaburra, boobook owl, wombat and koala.